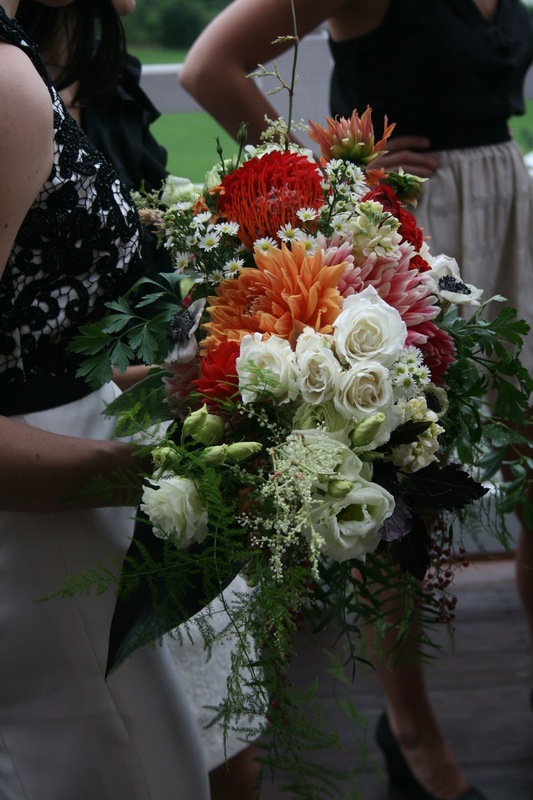 recently, I had the great pleasure of collaborating with one of my dear friends on her younger sister’s wedding. 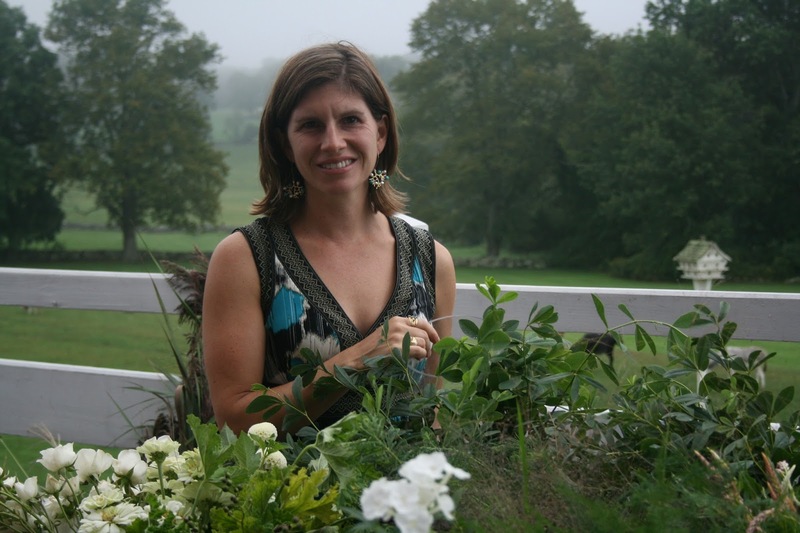 her family owns some magnificent land in eastern connecticut, which includes the legendary Golden Lamb Buttery restaurant. 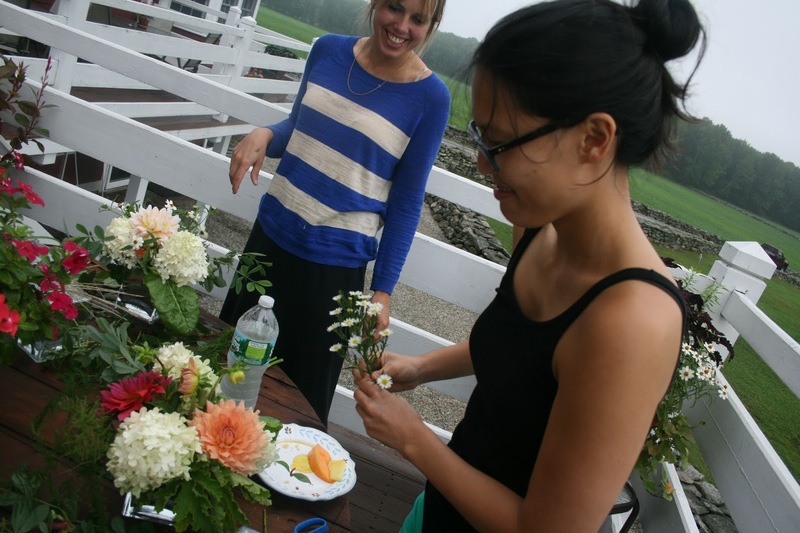 stephanie hosted a d-i-y flower arranging brunch on the morning of the wedding. 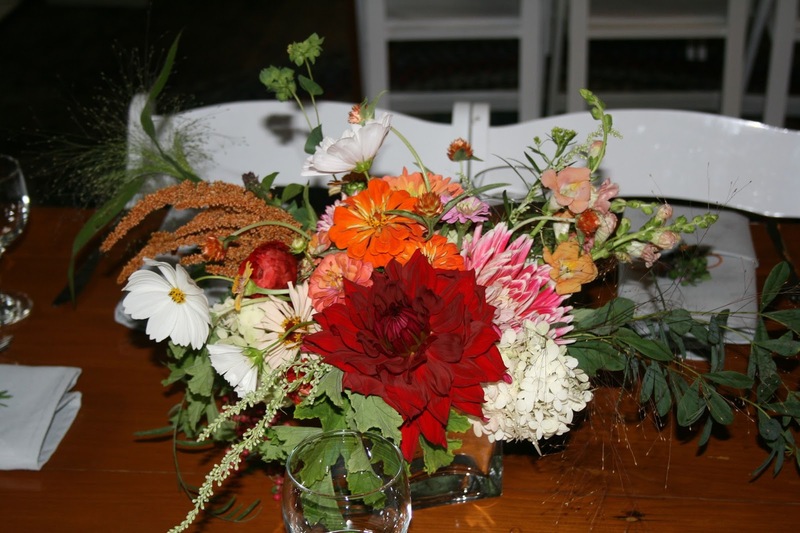 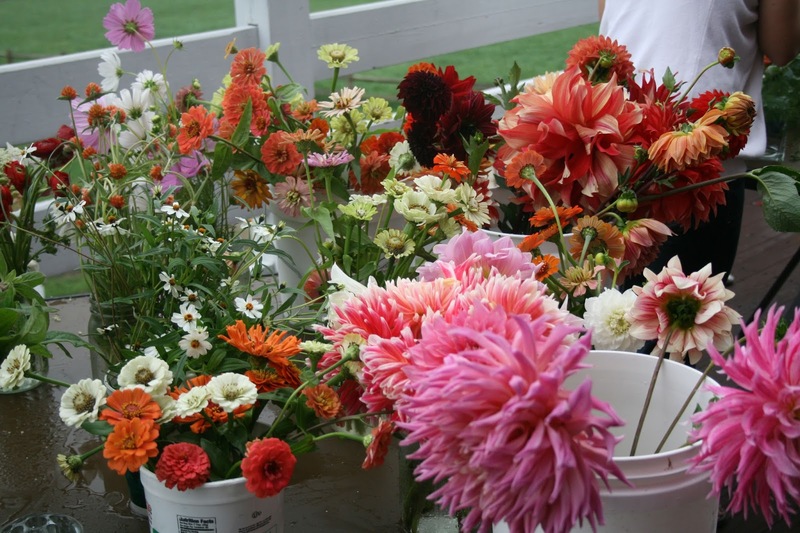 I provided buckets of soft-colored flowers, lots of greens, and dahlias and zinnias in shades of orange and pink. 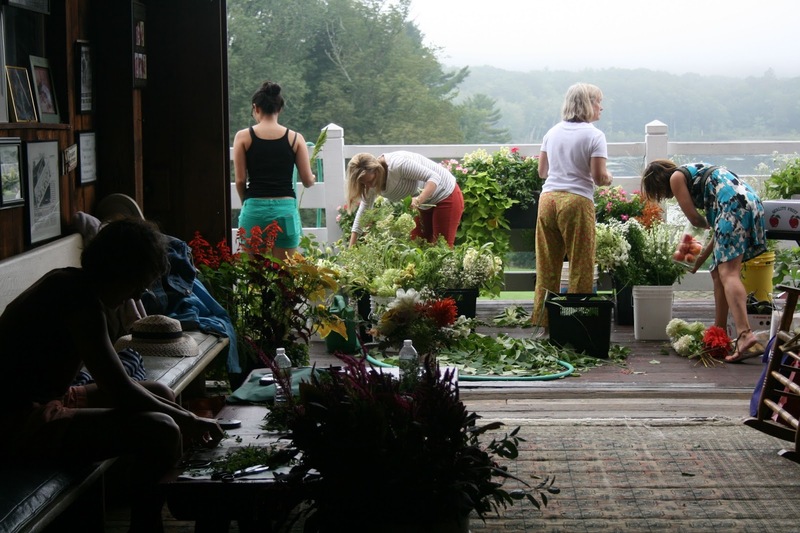 the girls gathered on the porch of the restaurant and happily tackled the task of arranging over 30 centerpieces. 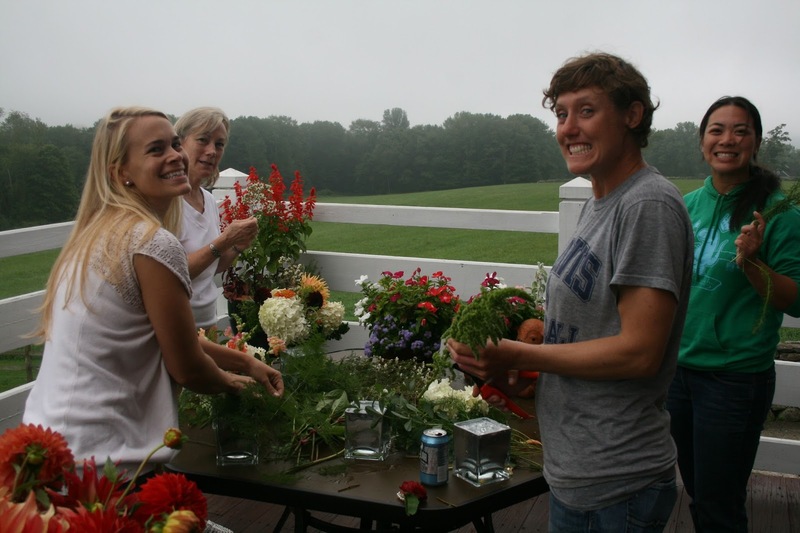 they were concerned about the setting being too country, and wanted an elegant, gatsby-like atmosphere. 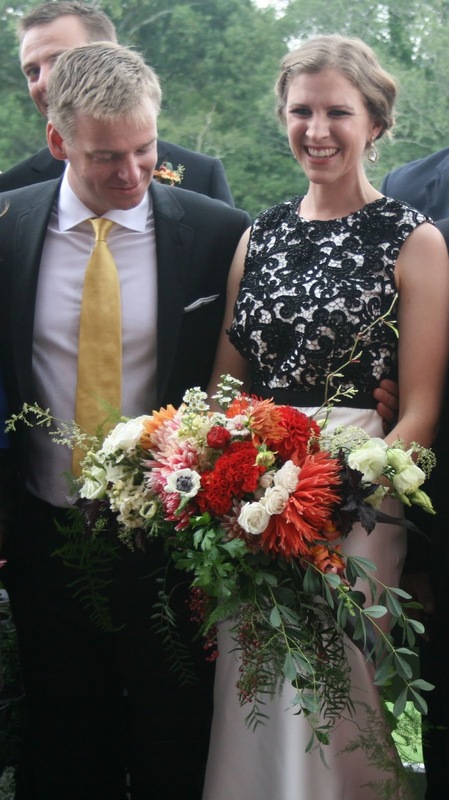 the bride was wearing a black and white lace-topped gown, and was the only one carrying flowers during the ceremony. 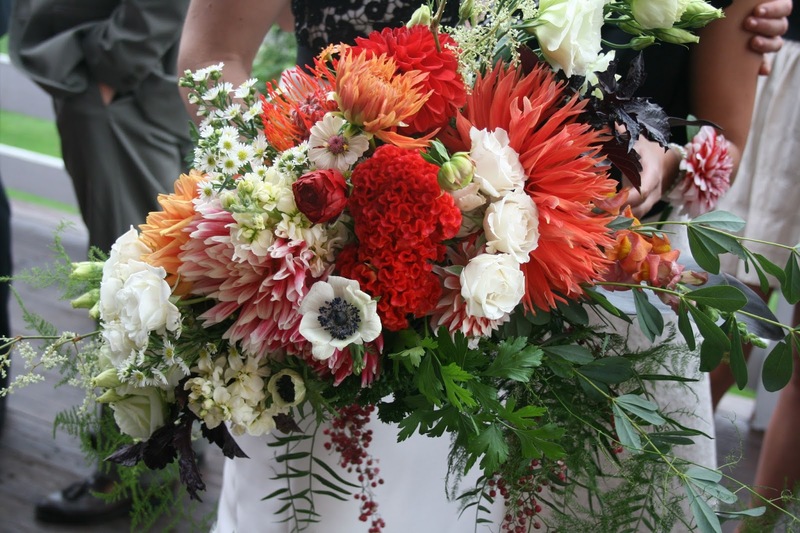 she wanted a massive, draping bouquet that contained fragrant herbs, seasonal berries, and a variety of textures and contrasts. 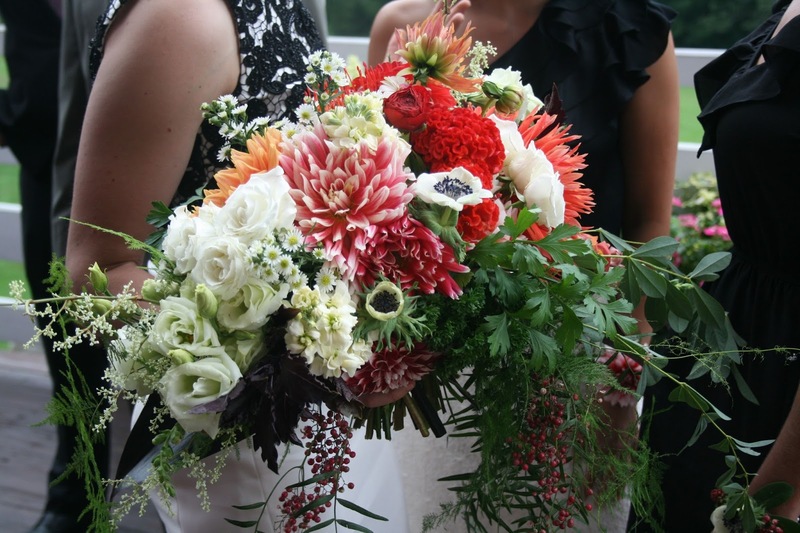 sometimes a bouquet takes on a life of its own, and this one came together like a dream. 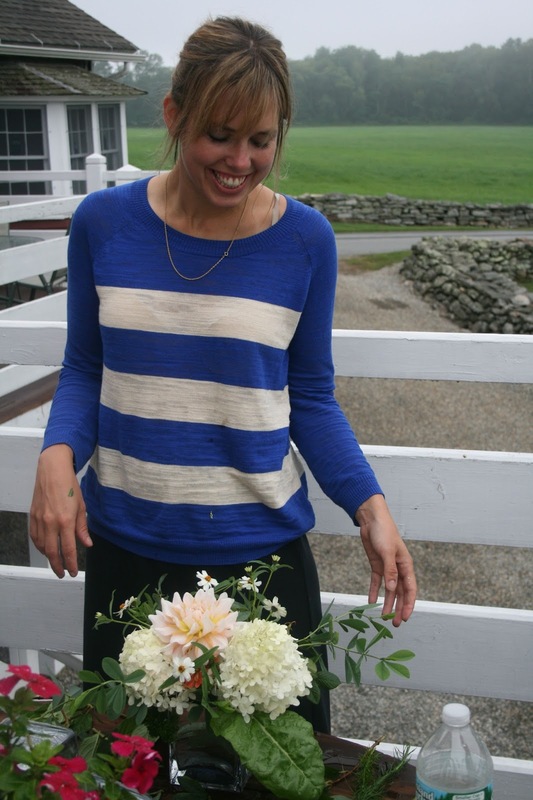 I’ll never forget the look on her face when I presented it to her!